If you read my blog or follow me on Instagram you’ll know that we have a pretty manic family life. Almost every evening involves at least one 8.30pm pick up from either the sports centre or gym, which means the grown ups don’t eat till 9.30pm and are ready for bed by 10! We also have a baby so you can imagine how interrupted our sleep is. 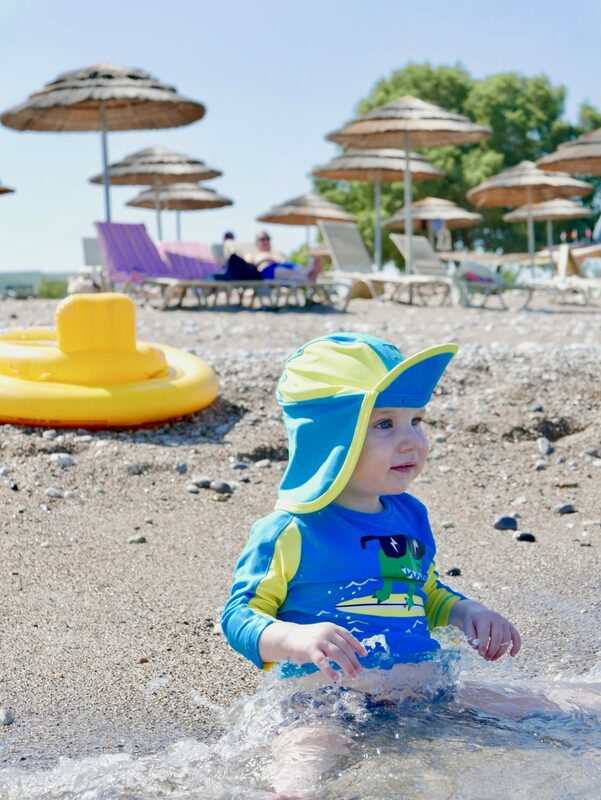 Before we went back to Mark Warner’s Levante Beach resort last June we hadn’t been on holiday for two years, party because I had a baby and also because my nine year old’s gymnastics training means our holiday availability is very limited ( having sporty kids comes with a price ). By June this year we were all desperate for a holiday and a break for our day to day routines. We were Mark Warner Ambassadors 4 years ago when we first visited Levante Beach, I look back the the photos from that trip and the kids look so small! I still remember Sydney and Hannah going up to the childcare staff on our first night and saying “what time does turtle club start?” as they couldn’t wait to see what it was like. We’ve now been back four times as it’s just a brilliant holiday for us. 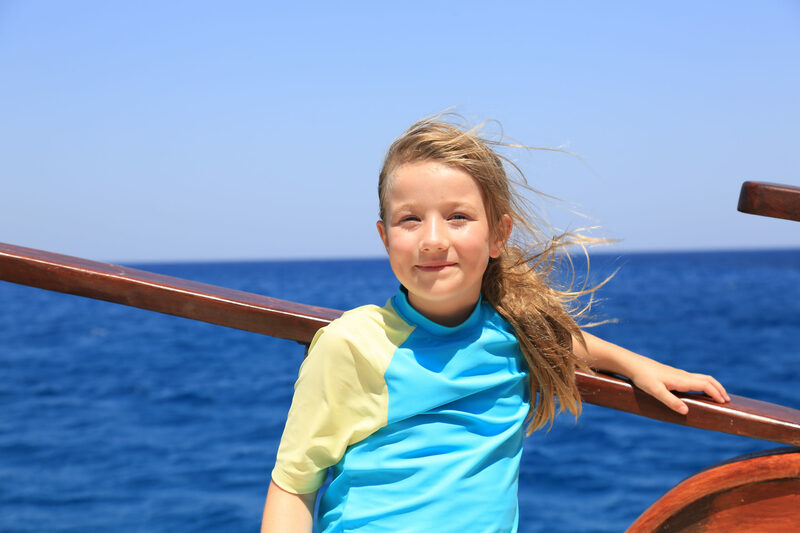 The first time we visited Levante I was very unsure about leaving the kids in childcare and felt awful for going on holiday and putting them into kids club. However, they’ve loved kids club each time we’ve been and it gives Rob and I a little time to ourselves which we don’t get very often. Rob especially looks back fondly on the week he played 20 hours of tennis! All three children have made special friends every holiday that they’ve then stayed in touch with. Making new friends and sharing the experience with other people seems to make their holiday even more special. On our last visit we had Zak ( age 11 ) in Kidz Club, Sydney and Hannah in Juniors and Charlie in Baby Club. Zak made a friend immediately and then wanted to go to club literally every possible second! At age 11 he was old enough to sign himself in and out which made him feel very grown up! Hannah also made lovely friends straight away and begged to go to club as much as possible. The Junior and Kidz Club sessions run between 9am and 12.30pm and 2.30pm-5.30pm with a movie club from 7pm. Zak and Hannah were completely in their element. Sydney unfortunately struggles in the sun and found the afternoons a little unbearable outside, so she tended to miss the outdoor sessions in the afternoon, but was happy enough to still join in with anything indoors. 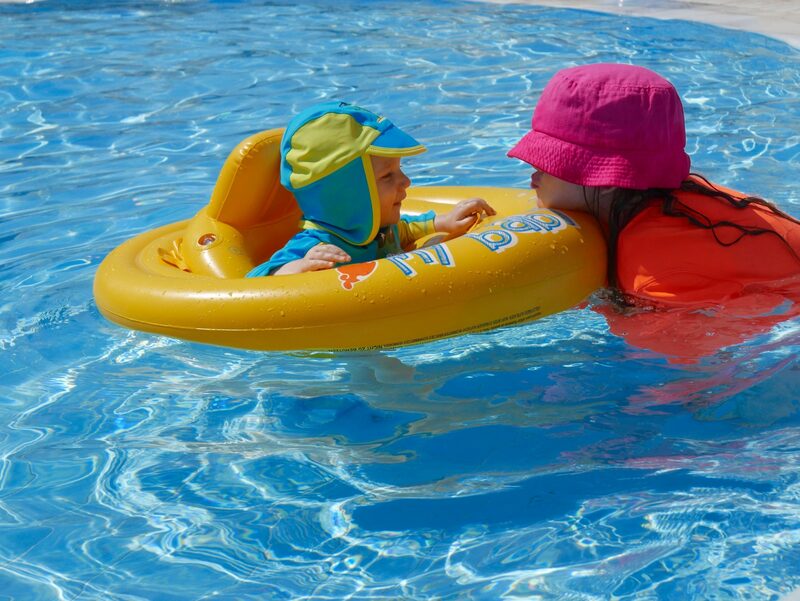 The beauty of Mark Warner childcare is the flexibility, so whether you have a child who wants to be there all the time or one who would rather dip in and out, it works perfectly. 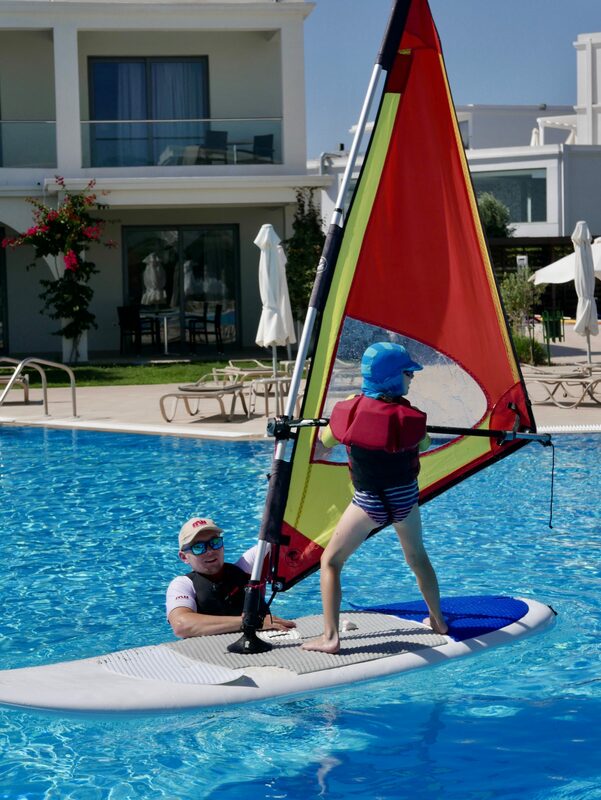 Junior Club spend time on the waterfront each day either sailing, kayaking or windsurfing and swim in the afternoons. Other activities included raft building, kite flying, football and lots of indoor and outdoor games. Each day is different and jam packed with fun. As always the childcare staff were wonderful with all the children. Sydney was VERY nervous about sailing after capsizing on a previous visit but managed to overcome her fear thanks to the patience and kindness of her group leader. The new Mark Warner app allowed us to check the schedule from our phones and organise everyone easily for the day ahead, which was very helpful. I love SUP boarding and spent a brilliant hour on the water with Sydney one morning. It was extra special as we don’t get much opportunity for one on one time at home. SUP boarding together was a big highlight of the holiday for both of us. I didn’t get chance to take part last time, but there is a weekly sunrise SUP boarding session that I have really enjoyed in the past and would recommend. 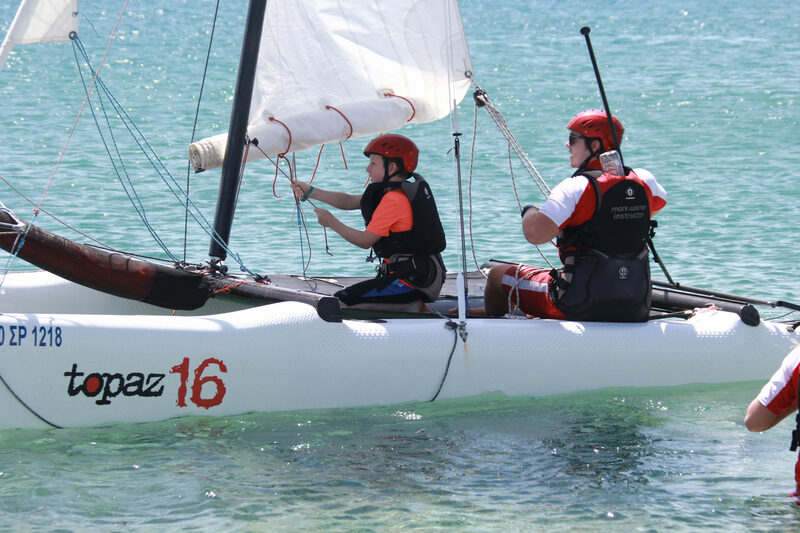 Zak completed his RYA stage 1 and 2 when we visited 2 years ago and stage 3 on our most recent visit. 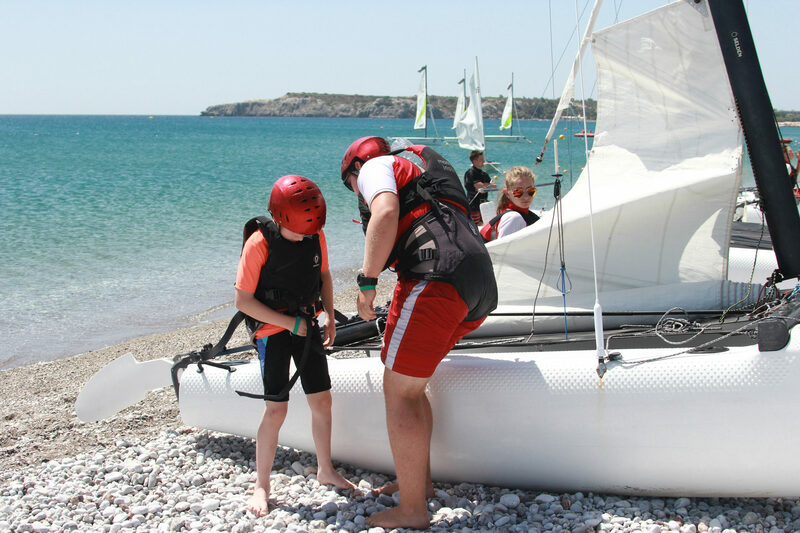 Rhodes is a great location for sailing as the sea is warm and conditions vary from very calm to lots of wind so something to test all skill levels. Zak has loved learning to sail and I’m really proud of how he’s taken to it as I have tried many times, but just can’t seem to get my head around it. 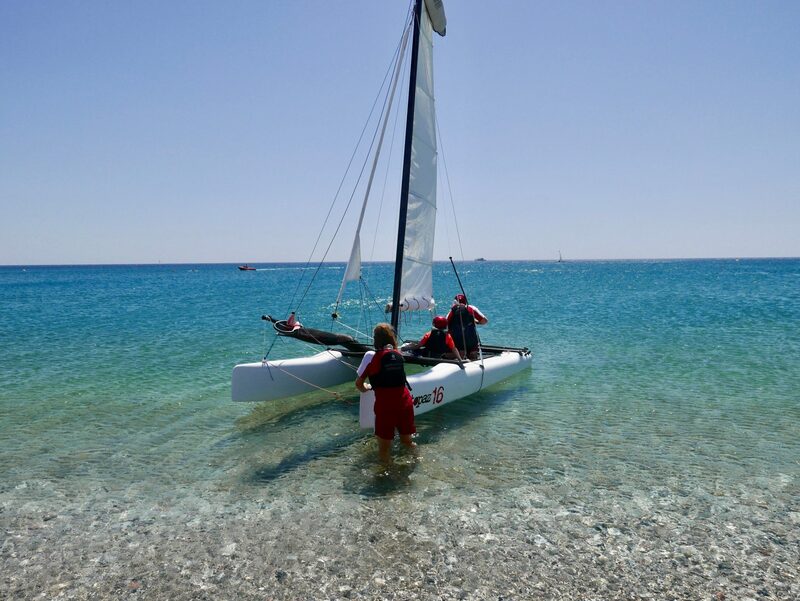 There is an extra cost for these courses, but I found them to be cheaper than our local sailing centre, so great value for money. 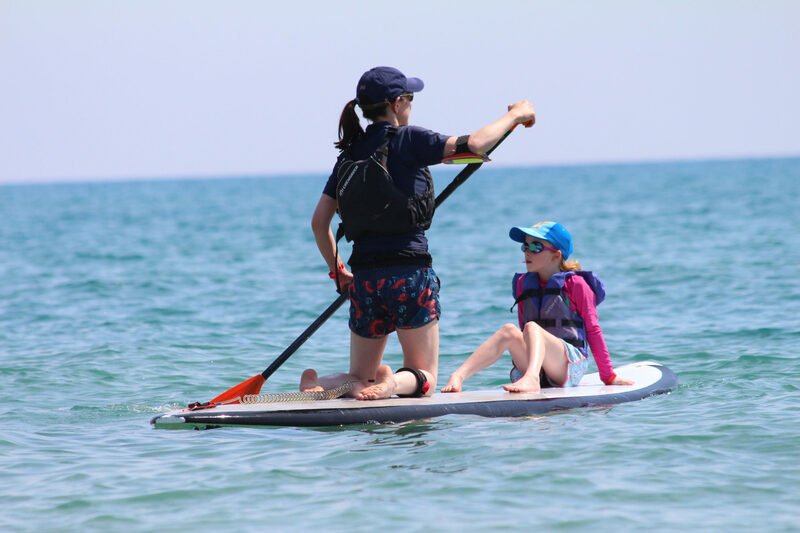 As a person with almost zero sailing skills and being quite an anxious Mum I was a little unsure about Zak entering the challenge, but he loved it and was perfectly safe as the safety boats were always close by in case anyone got into trouble. One of the big highlights of Zak’s holiday was taking his new friend in his boat as crew, a second highlight was when they were given the Ant and Dec award for being best friends at their end of week kids club show! 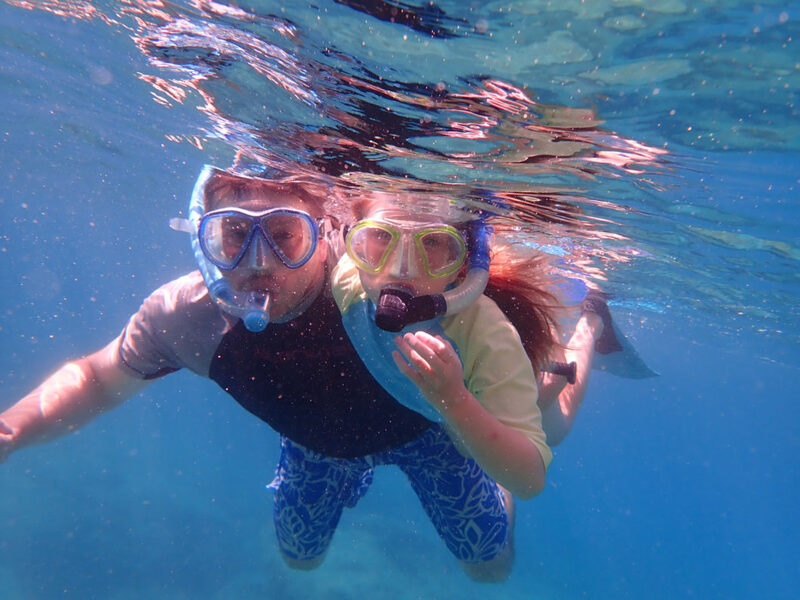 Also on offer is a family friendly excursion to take part in some snorkelling. On our last visit Rob spent the morning with Hannah (our 2nd youngest) doing something she hadn’t tried before. 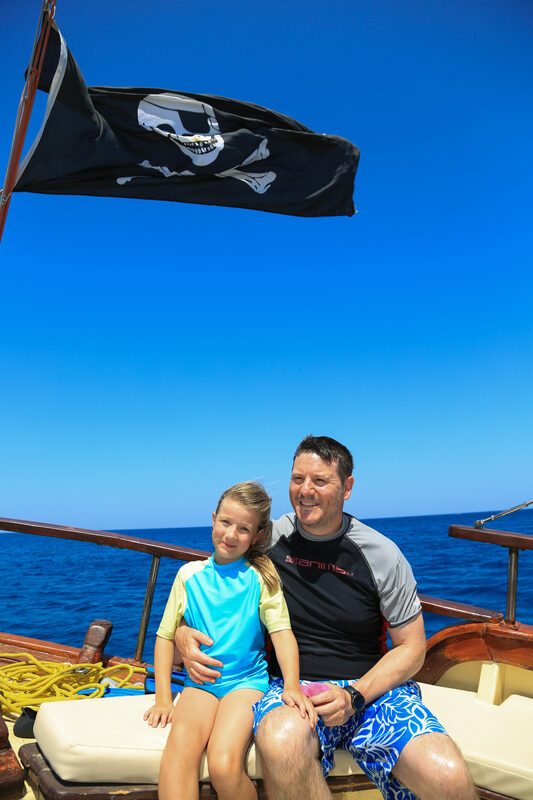 This trip, run by the InDepth ( who are onsite at Levante running PADI courses ) takes you on a small boat to a couple of locations known for their interesting scenery and fish life. 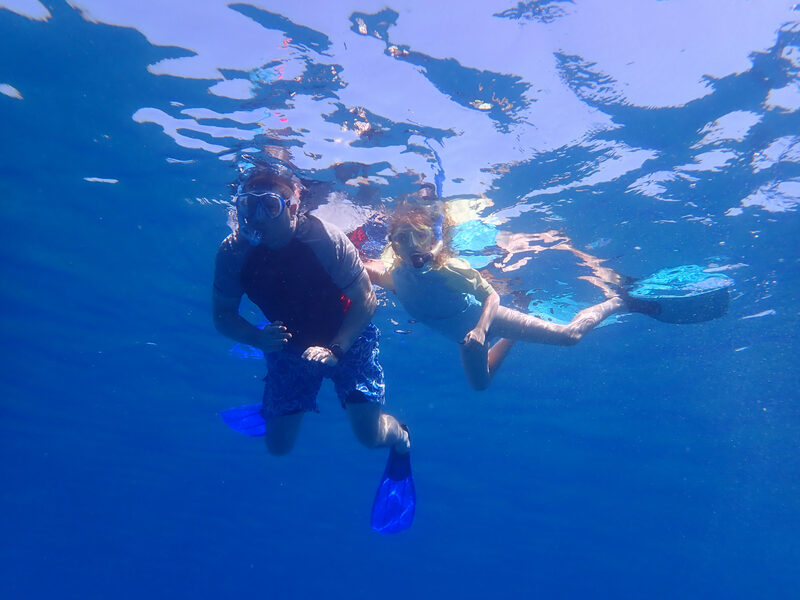 At each location the passengers are encouraged to take the plunge and snorkel around the rocky outcrops. Hannah absolutely loved it. Once she realised she could not only float but breathe she was off! It’s a fantastic opportunity to get some unique photos and spend a morning or afternoon doing something different. Levante run 2 excursions, Friday morning and afternoon (subject to sufficient numbers) and all passengers are treated to some great facts about the island and a surprise treat from the Captain of the boat. Rob has done this a few times now and really enjoyed it on every occasion. There is a small extra charge for this trip but we think it’s well worth the cost. 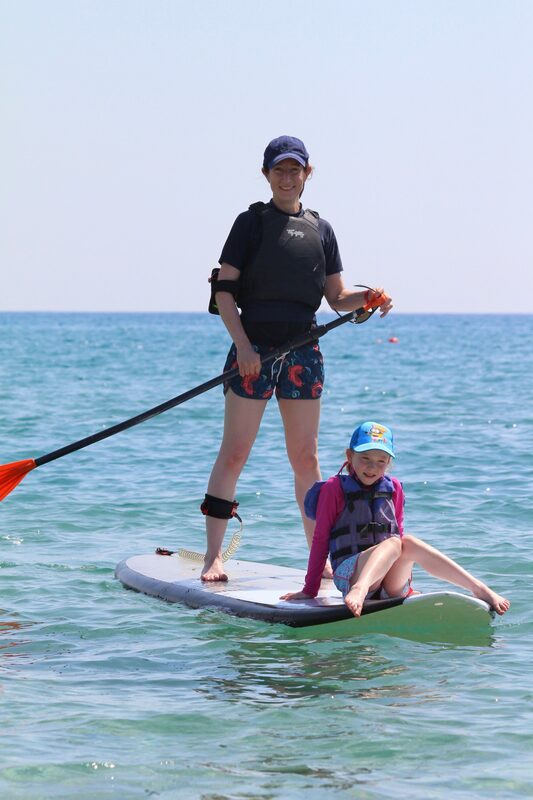 I’ve written before about the huge variety of activities available at Levante, it’s just a brilliant holiday for everyone as you can do as much or a little as you like in the most beautiful surroundings. The food is lovely, every single member of staff is welcoming, great with kids and just so very friendly. Levante has almost become our home from home and holds many, many special memories for all of us. It was a wonderful first holiday for this little guy too. He was poorly while we were there, but still loved kayaking, swimming and spending quality time with us. More about his holiday coming soon. A big thank you to Mark Warner for giving us a discount on our trip, it was a very much needed and appreciated family holiday. This looks like you had an amazing time, I need a break soon for sure, this has made me super envious. I can’t believe you can eat so late! We now eat with the kids 🙂 Sounds like a much-needed break. It sounds like you all had a great time. I’ve heard really good things about MW resorts! 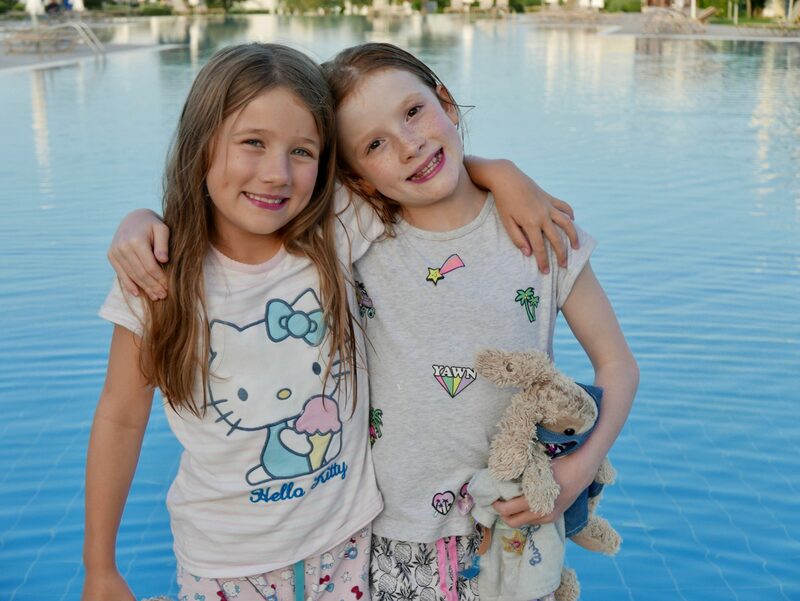 We absolutely loved Levante too, such a beautiful resort and it really is a great break, glad you got to recharge your batteries! It sounds like you had a wonderful holiday. 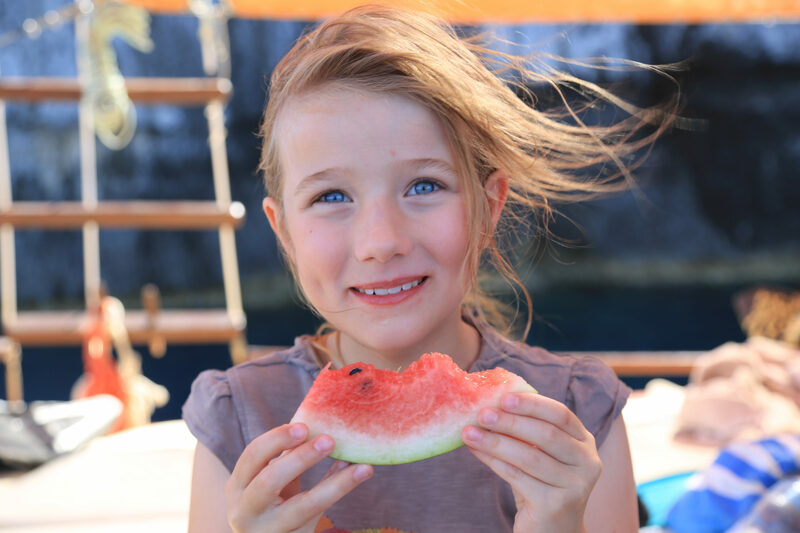 We have been to Mark Warner in Sardinia and had such a wonderful time. It is about time to book another one! Oh wow, it looks and sounds like you had the most amazing time! I’ve always fancied a Mark Warner holiday!